The stately and luxurious look of this power reclining loveseat is created through details such as thee plump cushions and traditional design. 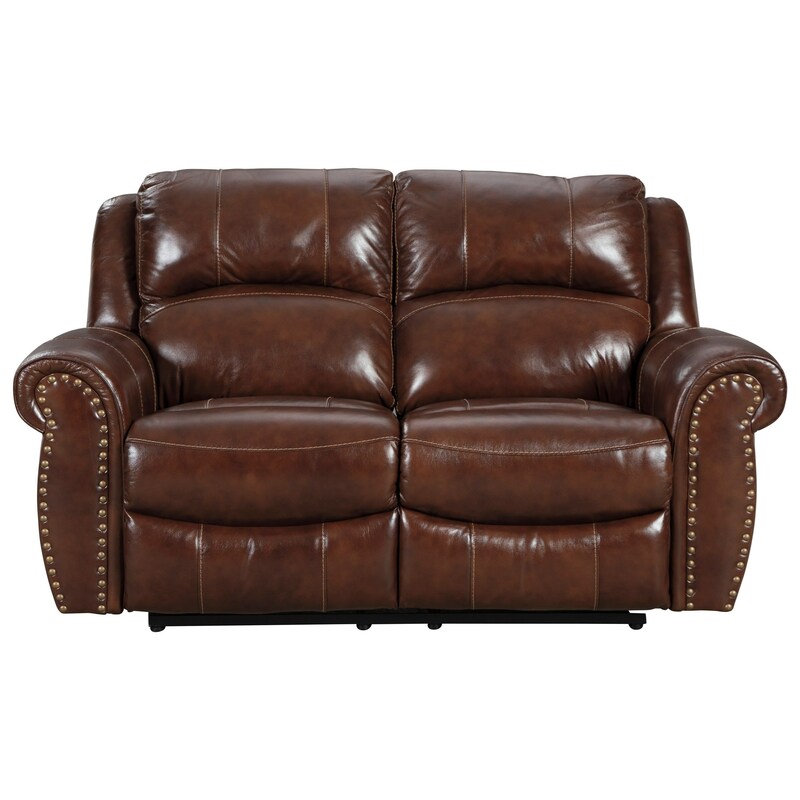 Rolled arms featuring nailhead trim and jumbo accent stitching ensure this piece is a perfect fit in your living room or cozy game room. The Bingen Traditional Power Reclining Loveseat with Nailhead Trim by Signature Design by Ashley at Miskelly Furniture in the Jackson, Pearl, Madison, Ridgeland, Flowood Mississippi area. Product availability may vary. Contact us for the most current availability on this product.